A subtropical flower garden will be lush, and textured. These subtropical flower garden ideas will blend with your home, and add to the indoor/outdoor flow. Native plants in the subtropical flower garden are generally drought resistant. As well as lush, the subtropical flower garden can be fragrant, and, importantly, be low maintenance. The creation of a subtropical flower garden can be achieved by using layered planting of varieties that flower in summer, and then will provide different colours throughout the year. Plants used should be based on limited varieties or one or two colours for a full effect. Grotec can assist you with a plan for your flower garden that includes flowering trees, such as Jacaranda, (Bignoniaceae) that will form the top layer of the design. You can decide if you want to have flowers to pick for indoor floral arrangements, or leave colour in the garden. 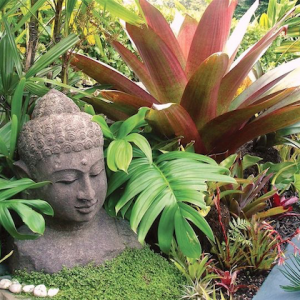 The next layer can include the fragrant shrubs, Frangipani, and varieties of ginger, giving some shade for the under planting of gardenias, and Kaffir lilies (Clivia miniate). Under these, agapanthus can join varieties of bromelids, and then succulents can provide an easy care flower garden edge. 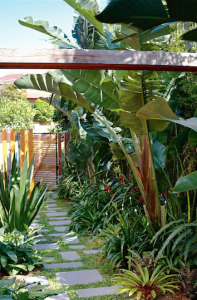 A well-designed subtropical flower garden creates an individual statement with plants, elements, and the ‘hardscape’ like paths and driveways. Large leafed plants, such as Elephant ear (Colocosia) provide shade for the lower plantings, and colour can be introduced by focusing on particular plants in different seasons. Mass plantings of the lower layered plants is always favoured, and adds a modern look. These then form the foundation planting, around which the rest are based. If a more regimented look is favoured, then planting of cardamom, myrtle, lavender, or rosemary along the edges of pathways can provide this. These can be trimmed to make the hedge that follows adjoining pathways and drives. Using pots for part of the planting allows for variation in the flower garden. Stunning displays of bulbs eg tulips or daffodils can be highlighted while they are flowering, then pots can be moved, and other plants will become the focus. 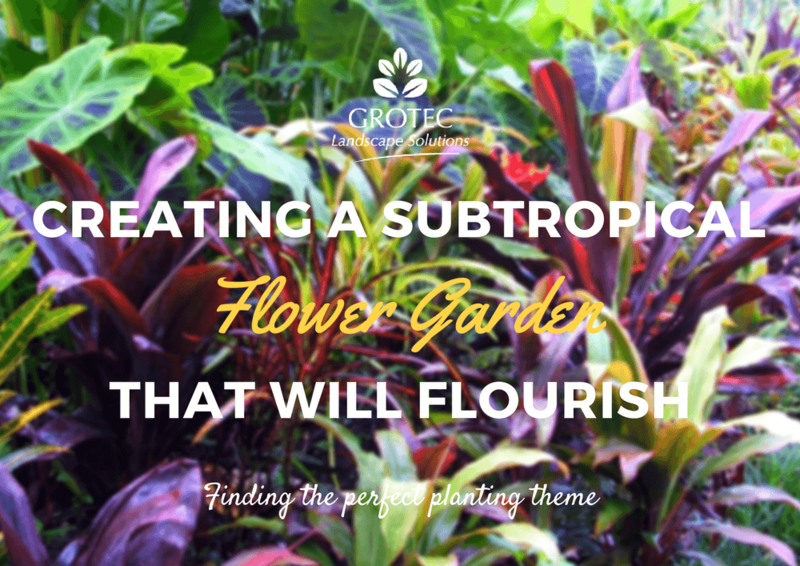 Create your subtropical flower garden, with the help of Grotec!